Built of tan brick with a red sandstone foundation and trim, the Turle’s home was designed in the Prairie Style, popularized by Louis Sullivan and Frank Lloyd Wright. One unique feature is the hipped side of the house’s eastern façade: it was included to house an electric car— in 1899! 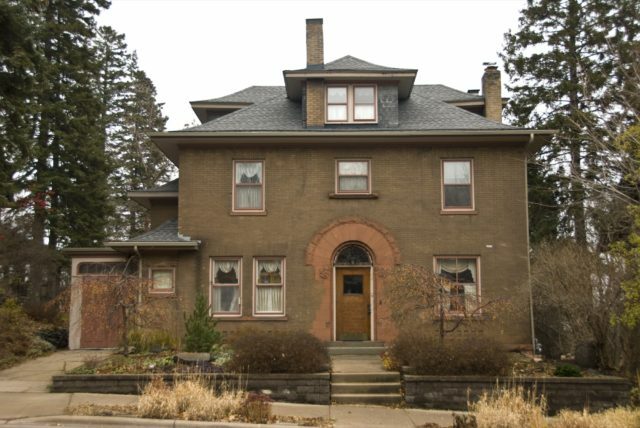 Walter Turle was a Duluth grain commissioner; his wife Sarah, an artist. She was an internationally-known miniaturist and painter revered for her use of vivid colors.